At Laughing Daughters dedicated Gluten Free facility we are committed to the safety and authenticity of the carefully sourced high quality ingredients. Our customers trust our products as undoubtedly gluten free and celiac friendly. We use a special blends of all organic grains that have high nutritional values to produce a wide range of quality goodies and savoury treats. In addition we use organic cane sugar, freshly grated zests, organic fruits and and local fresh herbs. 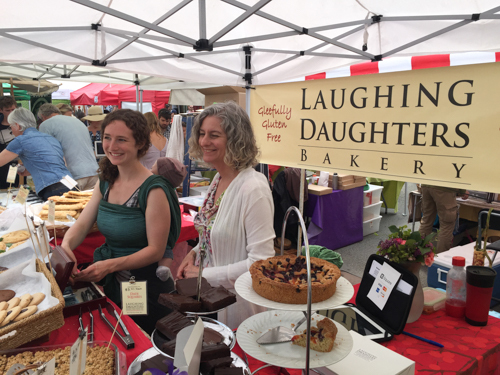 Whether you follow a Gluten Free diet or not our customers choose Laughing Daughters products simply because they are are delicious. Send enquiry to Laughing Daughter's Gluten Free Foods Inc.